Regime switching processes are usually defined with an external random source driving the regime changes. In this article, we define and study a regime switching diffusion considering two thresholds, and regime switching occurring, by a change in the diffusion drift and volatility, whenever the trajectory touches the upper threshold after having crossed, or touched, the lower threshold or touches the lower threshold after having crossed, or touched, the upper threshold. We develop an estimation procedure for the thresholds and for the regime parameters of the diffusions. We show that a generalized Black–Scholes model with the regime switching diffusion as the law of the risky asset is arbitrage free and complete under an additional hypothesis on the diffusion coefficients of the two regime diffusions. We extend some classical statistical inference to the case of a random number of observations with a stabilized distribution: namely, in the normal model, inference for the mean with known and unknown variance and inference for the variance. We describe some useful models for the number of observations obtained by truncation or translation of usual models given by integer-valued random variables: Poisson, binomial, geometric, and negative binomial. 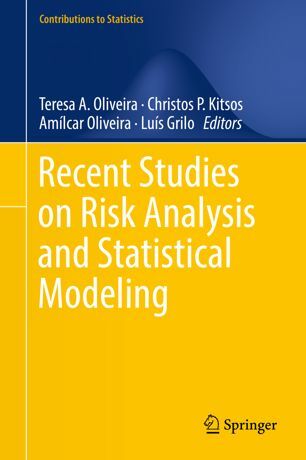 We present an efficient random search algorithm for the computation of the quantiles of the relevant statistics, we describe an interval estimation procedure for the extended model, and we propose a parametric bootstrap simulation study to validate the proposed procedure. We study the exchange rate behavior, mainly as to the presence of asymmetry in the shocks to conditional variance. Particularly, we investigate if the presence of that asymmetric response is specific to a marked behavior of the currency, appreciation/Dutch disease/depreciation, and if it appears masked when taking long non-homogeneous periods. Taking Mozambique Metical bilateral exchange rate against South Africa Rand, a major trading partner, we identify specific movements in defined sub-periods, where the most recent has the Dutch disease under scrutiny. Our results point out that asymmetry emerges especially when the currency is depreciating, while it is masked when considering larger periods that combine differences in currency behavior. The geometric Brownian motion (GBM) is very popular in modeling the dynamics of stock prices. However, the constant volatility assumption is questionable and many models with nonconstant volatility have been developed. In the papers [7,12] the authors introduce a regime switching process where in each regime the process is driven by GBM and the change in regime is defined by the crossing of a threshold. In this paper we used Akaike's and Bayesian information criteria to show that the GBM with regimes provides a better fit than the GBM. We also perform a forecasting comparison of the models for two selected companies. The normality of the log-returns for the price of the stocks is one of the most important assumptions in mathematical finance. Usually is assumed that the price dynamics of the stocks are driven by geometric Brownian motion and, in that case, the log-return of the prices are independent and normally distributed. For instance, for the Black-Scholes model and for the Black-Scholes pricing formula  this is one of the main assumptions. In this paper we will investigate if this assumption is verified in the real world, that is, for a large number of company stock prices we will test the normality assumption for the log-return of their prices. We will apply the KolmogorovSmirnov [10, 5], the Shapiro-Wilks [17, 16] and the Anderson-Darling [1, 2] tests for normality to a wide number of company prices from companies quoted in the Nasdaq composite index. When (Xt)t≥0 is an ergodic process, the density function of Xt converges to some invariant density as t →∞. We will compute and study some asymptotic properties of pseudo moments estimators obtained from this invariant density, for a specific class of ergodic processes. In this class of processes we can find the Cox-Ingersoll & Ross or Dixit & Pindyck processes, among others. 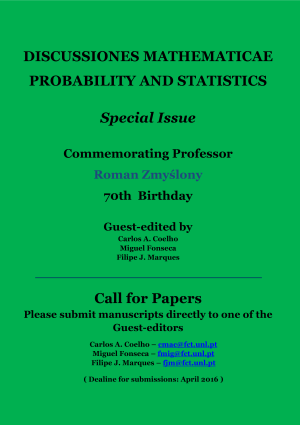 A comparative study of the proposed estimators with the usual estimators obtained from discrete approximations of the likelihood function will be carried out. Motivated by the need to describe regime switching in stock prices, we introduce and study a stochastic process in continuous time with two regimes and one threshold driving the change in regimes. When the difference between the regimes is simply given by different sets of real-valued parameters for the drift and diffusion coefficients, we show that there are consistent estimators for the threshold as long as we know how to classify a given observation of the process as belonging to one of the two regimes. 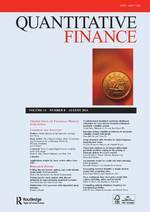 Motivated by the need to describe bear-bull market regime switching in stock prices, we introduce and study a stochastic process in continuous time with two regimes, threshold and delay, given by a stochastic differential equation. When the difference between the regimes is simply given by a different set of real valued parameters for the drift and diffusion coefficients, with changes between regimes depending only on these parameters, we show that if the delay is known there are consistent estimators for the threshold as long we know how to classify a given observation of the process as belonging to one of the two regimes. When the drift and diffusion coefficients are of geometric Brownian motion type we obtain a model with parameters that can be estimated in a satisfactory way, a model that allows differentiating regimes in some of the NYSE 21 stocks analyzed and also, that gives very satisfactory results when compared to the usual Black–Scholes model for pricing call options. In this article, we present a new technique to obtain estimators for parameters of ergodic processes. When a diffusion is ergodic its transition density converges to the invariant density Durett (1996). This convergence enabled us to introduce a sample partitioning technique that gives, in each subsample, observations that can be treated as independent and identically distributed. 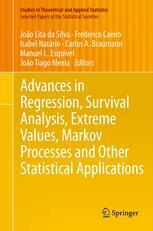 Within this framework, is possible the construction of estimators like maximum likelihood estimators or others.